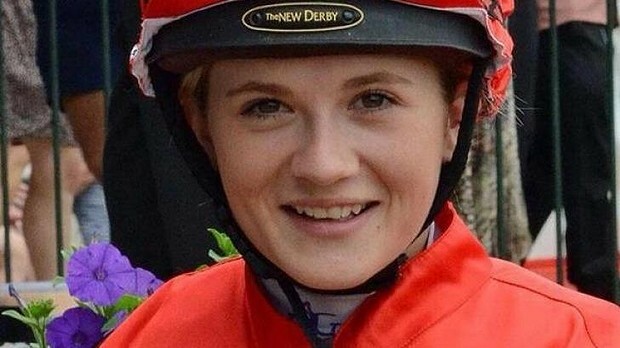 Second female jockey killed in a week, fourth in a year. Regular readers of Wellthisiswhatithink will be very familiar with our love of thoroughbred racing. But there have been stark reminders this week that it is anything but a sport without risks. The racing industry in Australia is reeling from news of the death of a second jockey in one of its most important weeks after Caitlin Forrest died from injuries sustained in a horrific four-horse fall at Murray Bridge on Wednesday. The 19-year-old South Australian apprentice crashed to the turf and was hit by the pack of horses behind her when riding in the race before the Murray Bridge Gold Cup. Forrest was semi-conscious and responsive when airlifted to hospital, but her condition deteriorated and she died from her injuries overnight. Adrian Patterson (El Prado Gold), Justin Potter (Ethbaal) and Libby Hopwood (Barigan Boy) were all flung to the turf as well when Forrest’s mount Collo Voce stumbled on the turn. Collo Voce was put down, but the other three horses regained their footing after the fall. Forrest’s death came just a day after Queensland jockey Carly-Mae Pye died from injuries she sustained when a horse she was riding in a Rockhampton jump out on Monday broke both its front legs. Race clubs across the country flew flags at half mast and jockeys wore black armbands on Wednesday in the wake of Pye’s death. Tributes are flowing on social media for Forrest, who was considered a top prospect in the saddle after notching up 44 wins last season. Caitlin and her partner, fellow jockey Scott Westover – the other tragic fact, of course, is the young age of so many of those killed in sport. “She was there when I was starting my stable, she worked closely together with myself and Kelly and she was really part of our family,” said trainer Sam Kavanagh, who took in Forrest while she was learning her craft. “She comes from a racing family, her dad Darren rode worked for dad and myself and her mum Yvonne broke in horses for us. We watched her grow up and my heart goes out to them and her partner Scott [Westover]. “I can still remember giving her her first ride in a trial and a race, she was always happy and had a great sense of humour. She had a great attitude and a great love for all animals. Forrest’s death has sparked calls for a complete review of Australian racing, which has lost four female jockeys in 14 months. Simone Montgomerie died after falling on Darwin Cup day in August last year while mother-of-two Desiree Gill died after tumbling from a mount on the Sunshine Coast in November. At the Wellthisiswhatithink desk we strongly doubt that racing of any kind can ever be made totally risk free. We have recently seen a near death on the Formula 1 circuit, a death on the Nascar circuit, last year a death in international cycling, and various very sad accidents in the ski-ing world. And it’s not just racing: for racing, read football of all kinds – read rugby, Aussie Rules especially – ice hockey, and more. But we cannot, surely, do more than to make these sports “as safe as possible”? It would be an immeasurably poorer world were people stopped for pursuing the sports they love because there is an element of danger in them. Caitlin’s death – the death of any sportsperson – is a bitter tragedy, but it should also be said that a tiny percentage of sportspeople die in pursuit of their dreams. Professional jockeys put their lives on the line more than most, though, and today we salute them all for their skills and for the mesmerising excitement they bring to millions. They deserve every cent they make. Our deepest sympathy to all who grieve. My deepest sympathy to their loved ones. And then, deep inside me, there is a storm of rage. Totally inappropriate for a post like yours that honors those who has left this world and regardless of what I am about to write below, it changes nothing for my sympathy for those who has lost a loved one. The tragedy is still a terrible tragedy. How many horses are put down each year, for being the carrier of man-hoods dream of chasing a trophy? Or to get a kick out of the rush of adrenaline or feeling the power of ones skills and talents? Humanity has a choice, they know the risks involved, animals don’t! How can anyone, who love horses and know their aesthetic graceful and sensitive nature put them through this? We treat nature and everything around us as if it’s ours to claim and abuse and exploit. Believe me, I’ve done my part of that too. Out of ignorance and out of stupid pride. We are capable of so much love, maybe it’s the price we pay for that love, that there is another deeply cruel side to the coin…. Life is sacred, no matter if it runs through a tree, a horse or a human. May we treat each other and everything around us with more love and humble honor. Hanne, I thank you for your thoughtful comments and the polite manner in which you phrased them. I am afraid I do not agree with your position, however. Thoroughbred race horses love to run and race, and without racing the vast majority of them would never be born, we would never experience their beauty. They live comfortable lives and are exceptionally well cared for. I realise you and I will never agree, but that is my carefully considered opinion. Stephen, thank you so much your sincere and genuinely kind respond. I know we will not agree, however I always value different perspectives shared. Thank you for listening to my cry of love. What exactly is this “shirtfront” that Tony Abbott is going to deliver to Vlad Putin?